Thank you to Disney and ABC for hosting me on a press trip to Los Angeles 2/24-2/27. This piece is part of a required post-trip blog content series. 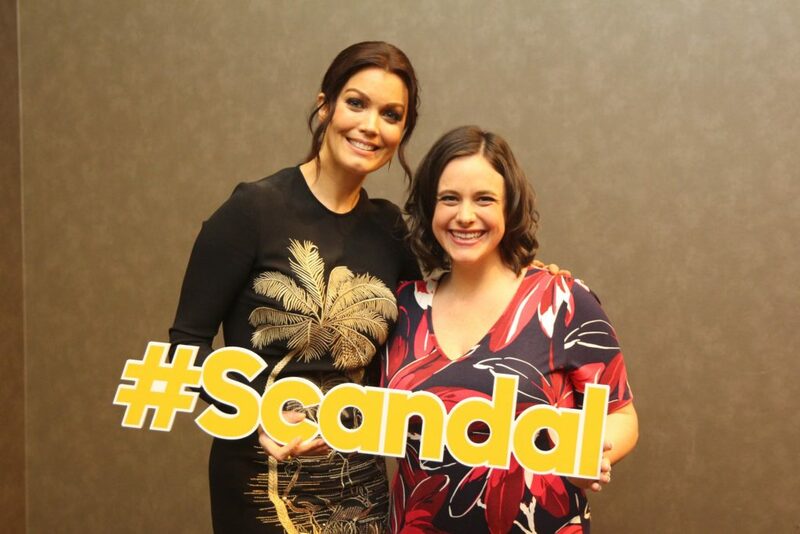 Meeting Bellamy Young was an absolute delight. She was our last interview of a full press day for A Wrinkle in Time and to say that she blew me away would not be an understatement. She was incredibly friendly, down-to-earth and so genuine it was hard to not be intoxicated by her energy. Though I don’t watch Scandal, it is the favorite show of SO many friends that I sometimes feel like I do. In addition to her role of President Mellie Grant on Scandal, Bellamy also plays a very small role in A Wrinkle in Time, which is why we got to meet her. You can spot her in the scene with the kids bouncing the balls, which is shown in the trailer. As a working professional, I was really interested in what Bellamy had to say about work. 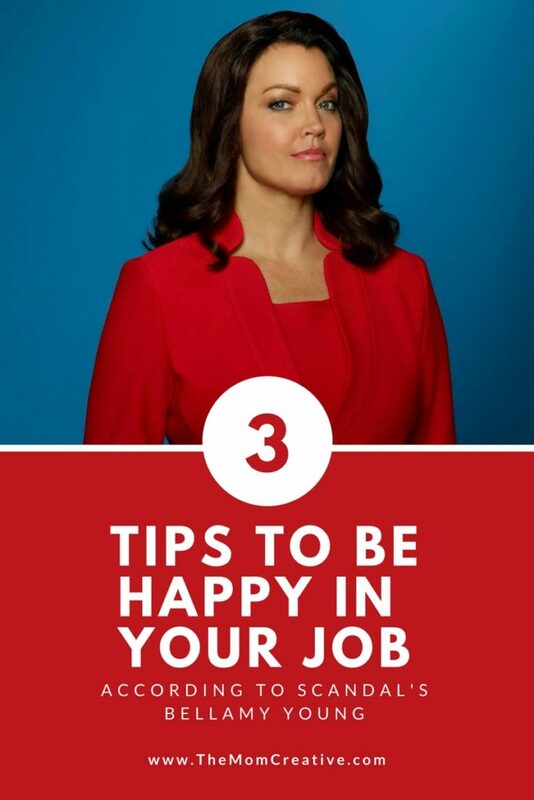 Here are three truths Bellamy shared for being happy in your job. One of the things that was so beautiful to hear about from Bellamy was her love for her colleagues. It was clear that the community that she has cultivated at work has enriched her life. 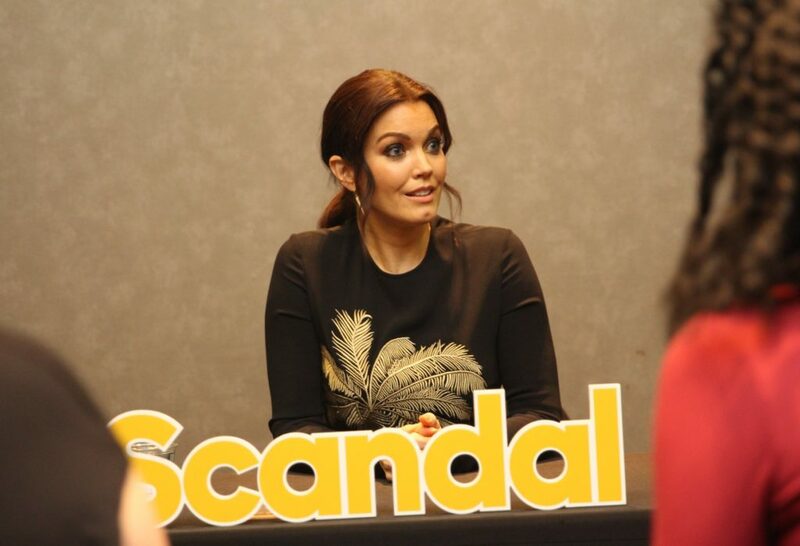 When talking about friendship amongst the Scandal cast, she said, “We always try to make time, at least, quarterly [to spend time together]. It moves fast, and everybody is busy, but like, those times are the time that come to mind that fill my heart, and that I think I can’t believe if I thought they weren’t going to keep happening. Bellamy shared multiple times that the reason she said yes to her small role in A Wrinkle in Time was to work with Ava Duvernay, the movie’s director. She jokingly commented that if Ava asked her to garden, which she hates to do, she would do it just to be around Ava. Most importantly, love the work that you do. From Scandal to A Wrinkle in Time, to her forthcoming pilot, False Profits, Bellamy is energized and passionate about her work. It came through as she talked about her characters, her day to day and her life in general. When you love your job, it makes it lesson like work.